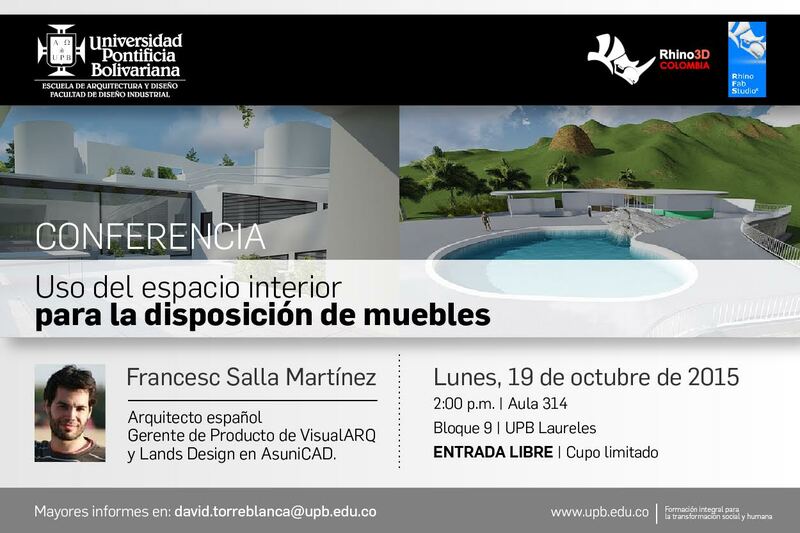 The RhinoFabStudio at the Universidad Pontificia Bolivariana invites you to a conference about the Use of Interior Space for Furniture Arrangement. 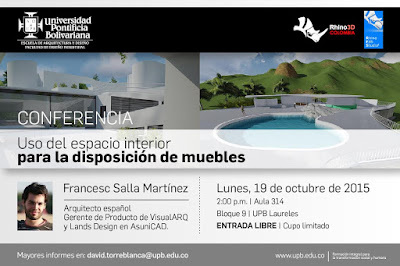 Francesc Salla Martínez, from McNeel Europe, will deliver a lecture intended primarily for architecture students. It is open to public and free of charge. Francesc will address his conference on the preparation of an architectural model for the design of an interior space with Rhino 5 and VisualARQ. I think furniture should indeed be part of interior design because without it, any house would look dull and plain even with excellent interior design. Furniture helps to create a contrast or complement the overall interior design of the space. I would first look at any possessions that hold tangible memories of my parents like photos, handwritings, videotapes and so on. After which, I will then move on to their clothings which could still have their smell if I am lucky. Then lastly, I move on to their furniture to see any that could be of any use to me. Else, I would just sell them off or donate them out. I will also invite family members to the house so they could have a share of my parent’s beloved possessions for keepsake.